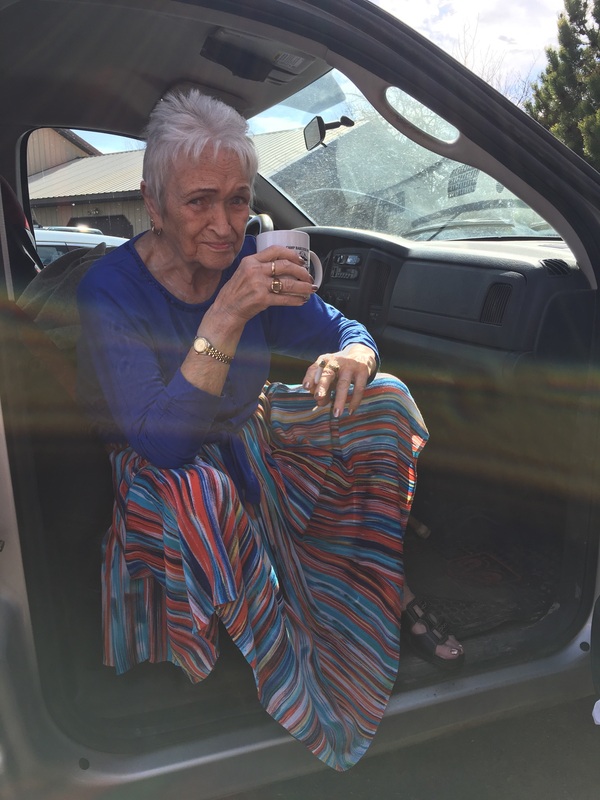 Grandma McDorman on Easter Sunday, 2017. I chose this because of the uniqueness and the different techniques they used throughout the video. I like how they incorporated old photographs and of home movies. I would like to see if I am capable of using some of those as well. Watching this film I was able to see some techniques they used as well as how they transitioned their way through the film, having lots of short clips all in a row to show a time period that has passed as well as whats going on around them. I want more recent footage of my grandma as well as her whole life story instead of asking specific things about if she remembered what because I wouldn’t know that, I want to know her whole story and she still remembers every detail of it and It would be nice to have and share with the family. In this 3-5 minute video story I captured a new relationship that started at Cazenovia College. I did an interview with the couple of how they started dating and what about each other that they fell in love with. For the Broll footage I got them interacting with each other at the lake as well as in the interview when they were just being them in their own little world. For the background music I had Jordan the girl in the story sing and play the piano so there are clip in the beginning of her playing and singing. I chose this particular story because I wanted to work on a love story and to really work on my camera movements and transitions into one clip and onto another. I see a lot of wedding videos from being a second shooter at weddings and I wanted to see how it worked. I also want to practice for my final documentary project which is the life story of my grandma, and I thought it would be helpful to know more about camera movements and interactions between people and how to capture that integration. Overall I think I did pretty well with my camera movements and creating interactions, but I need to work on audio more, there is noises that happen that I don’t like and I would like to work on editing a little more to make the video more smooth along with the audio. This article is about hotel and resorts that have their own gardens. It’s not just happening at hotels located near fields with room for big gardens and fields, Urban properties like Crosby Street are getting into it as well with vertical, raised and rooftop gardens. These 10 hotels are upping the freshness ante, hoping guests will appreciate the quality of house-grown vegetables and their lighter carbon footprints stated in the article. There 10 hotels are The Lodge at Woodloch, Hawley, Pennsylvania, Blackberry Farm, Walland, Tennessee, Crosby Street Hotel, New York, Omni Amelia Island Plantation Resort, Florida, Congress Hall, Cape May, New Jersey, Woodstock Inn & Resort, Vermont, Fairmont San Francisco, California, Chablé Resort and Spa, Chochola, Yucatan, Mexico, Petit St. Vincent, St. Vincent and the Grenadines, Nita Lake Lodge, Whistler, British Columbia. Each of these hotel and resorts have their own unique home grown specialty that makes them stand out from others. I believe that these photographs help show the uniqueness of these places and shows what these hotel and resorts have to offer that others don’t. These photographs help market the company and show the uniqueness of the company to their competitors as well as to their marketers. It gives them a leg up because stye are healthy and growing and creating their own food to serve to their customers. Without these photographs you wouldn’t be able to see the freshness and how the gardens are set up with the different surrounding areas and the different ways to have a garden for a hotel/resort. 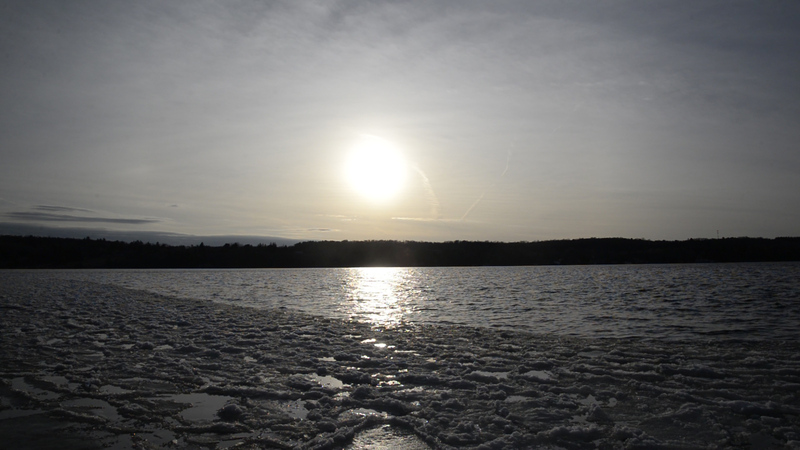 Cazenovia Lake ice melting, still shot of a video. This article was about the story of Kyle Johnson who is the starting left fielder for the Triple-A Las Vegas 51s. In this article it explains what Kyle fought for and he did what agents have been advising minor leaguers not to do, at least not if they want anything to do with the bigs ever again, but Kyle had just become the first active minor leaguer to publicly declare his part in an ongoing class-action lawsuit against Major League Baseball over unfair wages and unjust labor practices, stated in the article. In five years as a minor leaguer, including his time in Triple-A, Kyle Johnson has never been paid more than $11,500 a season by a baseball team. This article states that his first paycheck for two weeks of work was about $420 and that back home, old college classmates were starting their careers in finance, pulling down $60,000 a year. By the end of his first season as a pro ballplayer, Kyle had made maybe $2,500. Kyle did the math. His salary worked out to around $35 per game, maybe 12 bucks an hour. He ended up getting released and not playing anymore because they wouldn’t give him anymore money and he couldn’t provide for his family. These photographs helped the story because it showed that family came first even though becoming a major league baseball player was his dream job, his family came first and thats what these photographs show. It shows his beautiful family, his wife and two daughters. Without these photographs of the family, it wouldn’t be as meaningful of why he was fighting for a raise, why he’s spending money on a lawsuit when he doest have much after paying for daycare, food, and other things within the league itself. Jordan Rector and Travis Rocco, Cazenovia College students, April 2, 2017.